One interesting phenomena of Jewish life in the modern Arab world was the stardom achieved by many Jewish female singers. There was reason for this: with Muslim society constraints on issues of modesty – often forbidden to appear in front of men – it was easier for Jewish women to make significant breakthroughs in local music business. These included Alice Fitoussi, Line Monty and Reinette L’Oranaise in Algeria, Zohara Alfasiya in Morocco, Sultana Yusef and Nadhima Ibrahim in Iraq – to name a few. But stardom in Arab society soon presented life choices. Emigration into anonymity in Israel or remaining in countries now in conflict with Jews. Losing your social standing or your very career. And in some cases love and relationships came into consideration. Here is the story of possibly the two greatest Jewish Arab singers. Layla Mourad of Egypt and Salima Mourad Pasha of Iraq. Both remained loyal to their country, converted to Islam and were eliminated from Jewish collective memory. Layla Mourad was born in Alexandria in 1918, to mixed Jewish origins. Her father Ibrahim Zaki was a singer as well as a cantor in the Jewish community – one of the oldest in the world. Her mother Gamilah Salmon was actually of Ashkenazi origin – from a Polish-Jewish family that settled in Egypt. Alongside her brother Mounir she was trained by her father and the famous Jewish composer Dawood Hosni – who had composed the first Arabic language operetta. Her stage debut would be at the tender age of 9 – at Saalat Badi’a, one of Cairo’s most successful music halls. Club owner, Badi’a Masabni, a dancer in singer would take Layla under her patronage. By the age of 15 she made her cinema debut. Hosni would write and compose two songs for his prodigy. With daring themes that may have not suited her Muslim contemporaries “Hairana Leh Bein El-Eloub” (Why can’t you choose from among lovers), and “Howa el dala’a ya’ani khessam” (Does dalliance mean avoiding me?). Soon she became the favorite of Egyptian composer Mohammed Abdel Wahab, who gave her a role in his film Yahia el Hob (Viva Love!) in 1938. In the coming decade she would make several blockbuster movies – many of them with the Jewish director Togo Mizrahi. So big was her fame that after the Egyptian revolution of 1952 she was chosen over Umm Kulthum, as the “official singer of the revolution”. By this time, she had converted to Islam following her marriage to actor Anwar Wagdi. Her family cut almost all ties with her. Her name seldom mentioned in Jewish community. But her Jewish origins would haunt her. A rumor was spread that she visited her family in Israel and donated money to the IDF. Some media outlets boycotted her and President Nasser, a big fan of Mourad, was forced to approve an official investigation. “I am an Egyptian Muslim”, she declared under oath. Her accusers found no proof of the allegations and her name was cleared. 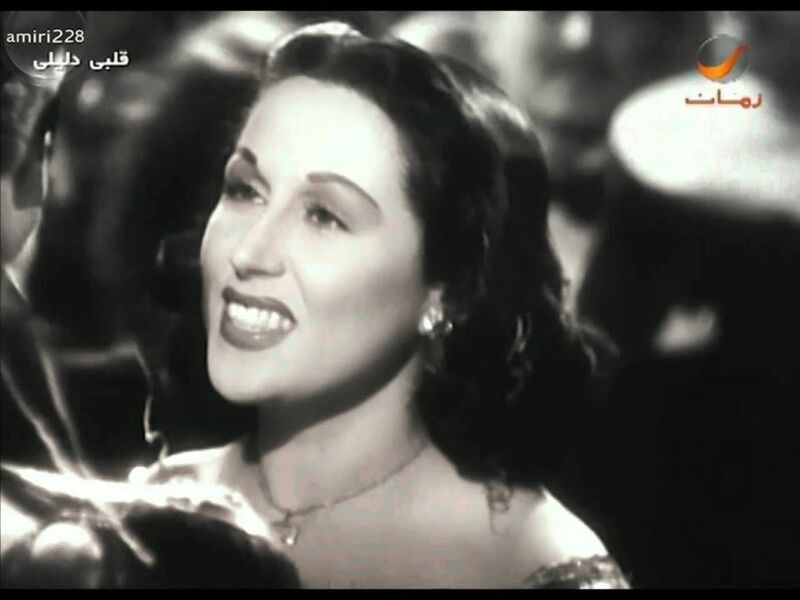 Some historians believe that Nasser even pressured Syria to end a ban on her films and music on Syrian radio. There are many parallels between the story of Layla Mourad and Iraqi-Jewish music legend Salima Pasha. But Pasha was probably from a less respectable background. So shameful was it for women to sing and dance in public in 1920s Iraq, that female performers were sometimes recruited from brothels. In fact, some sources state that Salima too had worked in a brothel. Her sister Regina was the owner of several upper class brothels. But music changed everything. With a liberal movement in society, she became a popular singer at private functions for the elite – for which she would earn handsome fees. A popular character she was known to help the poor among Jews and Muslims alike. By the 1940’s she was one of the greatest stars in the middle east – but the world around presented choices. Nationalistic tensions animosity and physical violence toward Jews was growing. Within a few years after Israel’s independence the Babylonian community ended after 2,500 years of existence. Salima had converted to Islam, married Iraq’s greatest singer, Nazem al-Ghazali, stay in Iraq where she would live out her days. 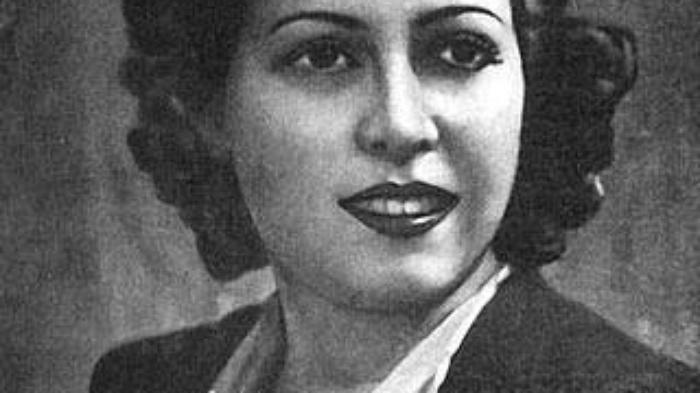 Many Iraqi Jews who had emigrated to Israel were her admirers, but in the Jewish state her Arabic singing was hardly ever broadcasted on the radio. It is noteworthy to mention that while Layla Mourad and Salima Pasha passed on the opportunity to emigrate – some famous female Jewish Arabic singers did emigrate, and usually suffered a sad end to their careers. Snubbed by a nation dominated by Western style.